Lt. (j.g.) 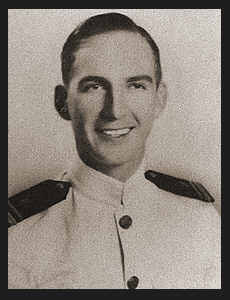 Dale Hayter, son of Mr. and Mrs. Lester Hayter, graduated from Frederick High School and Okla. A & M. Entered Navy in Aug., 1943, trained in San Diego and Columbia Univ. ; served in Saiapn, Tinanian, Leyte, Lingayen, Okinawa, Ryukyu, Japan, and aboard the USS Heywood in the Pacific. Awarded Am. Theatre Ribbon, Asiatic Pacific Ribbon with three Battle Stars, Philippine Lib, Ribbon with two Battle Stars, Victory Ribbon.